HAH! EbilCorp is backing the development of my new game. I guess Artix just found out who the mole was. I hope they did not have too much trouble cleaning that paint off the security cameras. Well what do you expect from an evil fiend of the Abyss? I'm certainly no angel! Anyway, Chairman Platinum and the legions of EbilCorp understand my desire to devour souls and spread destruction where ever I go. 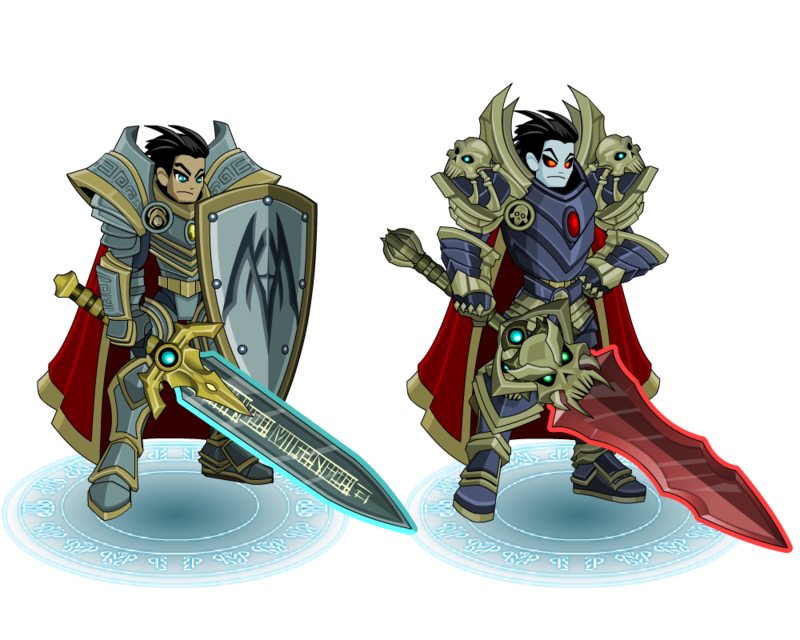 Artix never supported me in those things! All he wants to do is make family friendly games. Now he is about to pay the ultimate price for trying to nerf my dark and violent creativity. I am with EbilCorp now. Now, you will see what I am truly capable of! OVERSOUL! My new PvP Game is in Development! Welcome to my Realm mortal! I’m so glad you could make it! Fresh souls are always welcome... Do you like what I've done with the place? Cozy I think. This is my new site for Oversoul! In Oversoul you start off dead... well I kill you. But fear not, your soul lives on and you have the ability to possess any being you encounter in the game... if you meet the requirements. Above's a teaser of just some of the characters you'll be able to find in the game! The alignment of your characters will determine the appearances that will be available to you as displayed below. Next week we'll go into more detail on how the Leveling Tree will work. Alignment: Good and Evil play an important role. Your alignment and other factors will determine who you can possess. If you can do battle with it, you will have the possibility to possess it. Leveling-Tree: Level up your characters and unlock new classes and looks within a your leveling- tree. Artifacts: Explore an open world map! Through random encounters, you can discover hidden areas, rare characters and artifacts! 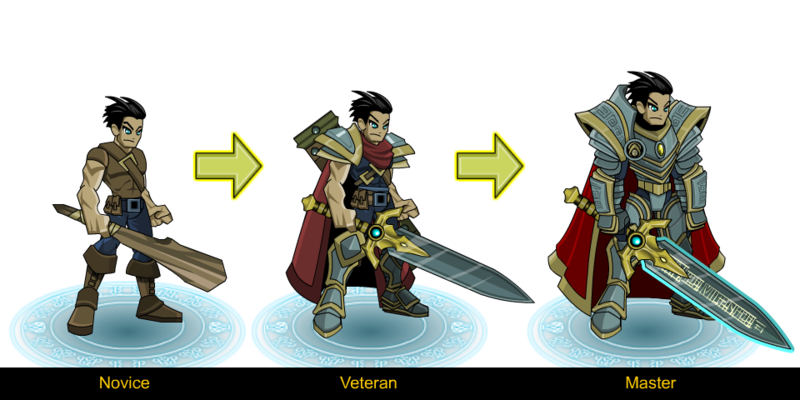 Artifacts will enhance one of your powers but diminish another. So choose wisely. True PvP Gameplay: Each character will have a unique set of battle cards to fight with. Take your newly possessed characters and battle other players in true PvP gameplay. Elemental Tactics: Tactics and countering your opponent will determine the victor. If your enemy likes to use ice attacks, show them what it's like to play with fire! Show an undead what it's like to see the light! 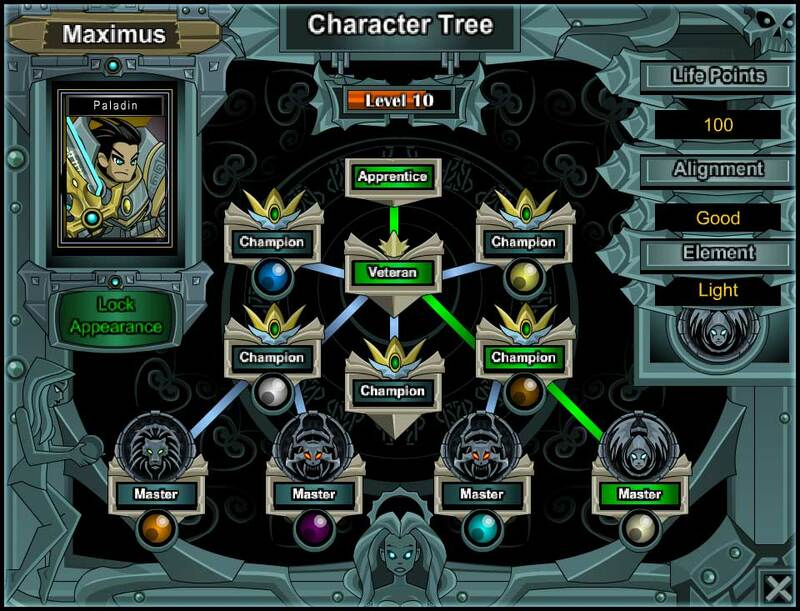 Common and Rare Character Trees: The Character Tree will be a key part of the game because it allows you to change not only your appearance but your card deck and elemental standing marked by the colored globes. As you can see above, you have many paths to take but not all characters will have such a broad selection. Most Character Trees will only reach Veteran or Champion. Only very rare characters will have ALL of the tree open to them and be able to reach the Master levels. Some Character Trees may reveal a new character for you to unlock after completeing a quest or objective. Character Trees with Customizable Card Decks: Some Character Trees will give players the ability to customize their card decks with all the character cards the player has unlocked within that particular Character Tree. These Character Trees would only be allowed one elmental standing and for good reason. We don't want Lava monsters spewing ice bolts or Vampires casting light spells for example. As th game progresses we may allow elements that don't clash to work together. Like the Neutral element being allowed to mix with any other element. Or maybe a Lich that can cast both Shadow and Ice spells. So as you can see the Character Tree plays a variety of roles when developing your characters. 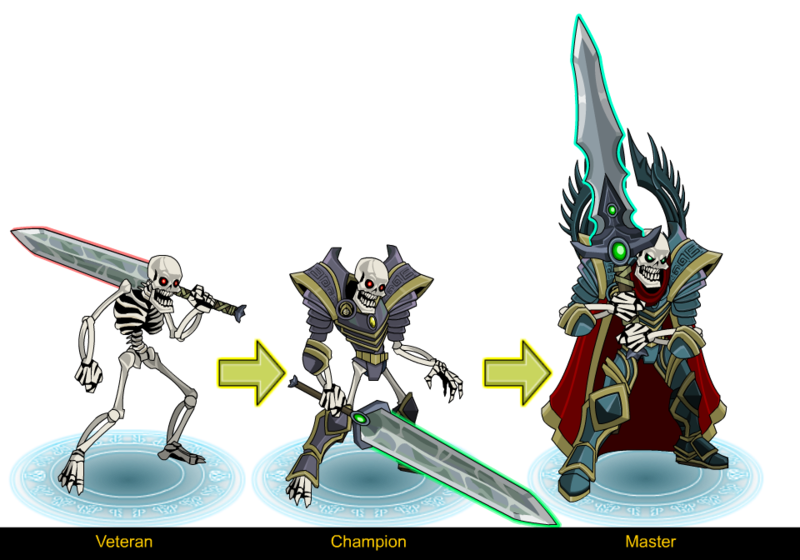 Endless Variety of Characters: There is no standard character model in Oversoul. 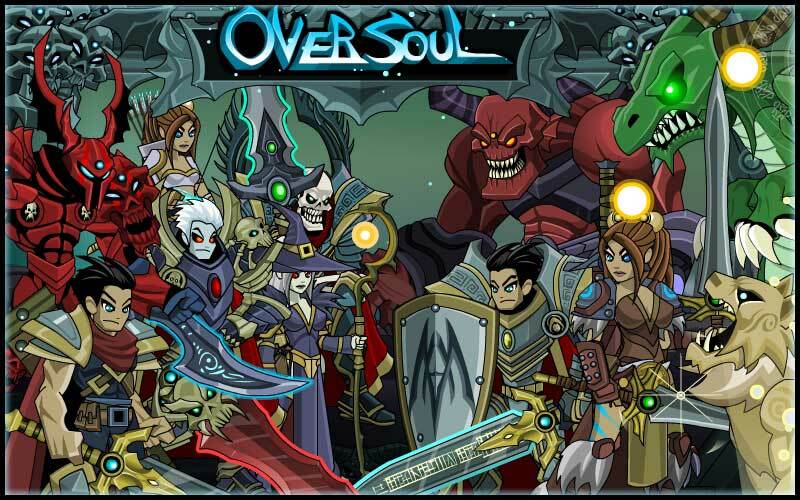 Which means almost any kind of character you can think of can be played in Oversoul as long as they aren't too big. The Character Tree allows characters to make dramatic transformations from say a human to a vampire, werewolf, slime, clouds, inanimate objects, clowns, birds, ninja, swarm of bugs or even to a dragon. (Medium sized dragons.) The possibilities of progression are endless! But some of you might like the early look of your character so there will be the ability to lock your appearance or reset your choices. Stay tuned next week for more sneak peeks into the development of Oversoul! Alignment System: The Good the Evil and the Neutral! 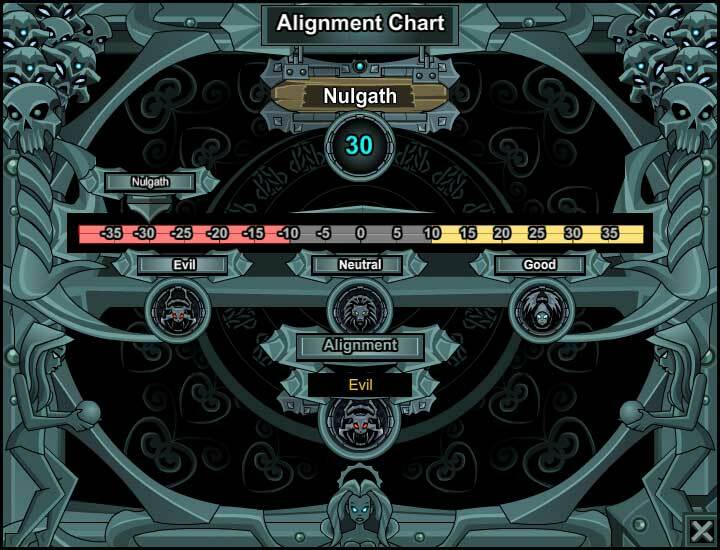 This week I want to dive into the Alignment system of OVERSOUL. There will be 3 varying degrees of alignment. Good, Evil and Neutral. Your choice in alignment will play an important role in how you'll unlock those specific characters you want to play in the Character Tree. It'll also dictate who you can possess in the open world. But when you first start the game, all the selectable characters will be Neutral. So lets say you want to possess the ArchFiend below. Well, you'll have to match the alignment of him first. Meaning, you can only possess characters that are in the same alignment bracket as you. If an ArchFiend requires you to be -30 Evil then you cannot possess the them if you are a Neutral or Good aligned character. And this goes with every alignment. If you are a -25 Evil Vampire you cannot possess a +15 Good Priest or a 0 Neutral Mercenary. On top of this, you are also required to defeat the character you want to possess in battle. Rare Characters: So if you happen to come across a rare character while traveling the land, you'll need to be the correct alignment and be able to defeat them in order to take them as your own. As you can see the Alignment chart is a sliding scale so you cannot be more than one alignment at a time. So choose wisely. Elements and Card decks: Another aspect your alignment will affect is the elements and cards available to you. There will be elements available to all alignments but some more than others. The main ones being Shadow and Light. There will be more Shadow Elemental standings on the Evil side and more Light Elements on the Good side. But worry not, there WILL be Good characters that use shadow arts and Evil characters that use Light spells too. Above is a small list of character types you can expect to find in your alignment. And there will obviously be a variety of each type as well as new kinds of character to be added as the game progresses!